I translate from English to Czech. I will be on parental leave starting November 2018. Although I am still available for new translation jobs, I might not be able to get back to you right away. Thank you for your understanding. I am not a big, impersonal agency. I am Lenka. You send your texts directly to me and communicate only with me. I translate IT texts, user manuals, documentation, technical articles, books and much more. I also localize websites, software, eshops and mobile apps into Czech. I strive to submit high-quality translations on time because your good reputation, as well as mine, matters to me. I have been translating for five years and my clients are major international corporations, smaller IT companies as well as individual people. I can translate texts in unusual formats (PDF, XML, online website) and I am here for you if you need a translation in the evening or during the weekend. Prices listed here are for guidance only and depend on deadline, length of the text, topic and other factors. A complex technical manual will be more expensive than general web content. I usually charge per standard page (1800 characters including spaces) or per source word. Don't worry about counting the number of characters, just send me the text or URL and I will immediately send you a price calculation. Why is translation from Czech to English more expensive? Cooperation with Miss Krafková met our high standards. Translation of a terminologically demanding text was quick, accurate and top-quality. I sincerely recommend working with Lenka. Lenka translated our company's website without any difficulties. We appreciated her professional approach, promptness and appropriate price. Cooperation with Lenka was simply great. The translation was precise and high-quality. I will surely contact this talented translator again. Do you want to work with me too? 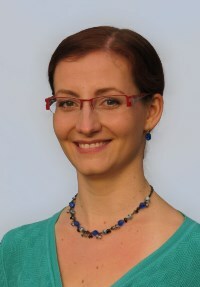 Hi, I am Lenka Fejfarová (Krafková). I have been passionate about languages, writing and books for as long as I can remember. I started learning English when I was five and I was hooked immediately. While other children were playing outside, I was reading Jane Eyre, writing poetry and learning about Shakespeare. When I was nineteen, I started studying English Language and Literature at the Masaryk University in Brno and I decided that translating would be a perfect job for a bookworm and language enthusiast like me. Since then, my journey has been really awesome. I went on to study English Language Translation and learnt as much as I could about translation process in theory as well as in practice. After graduation, I got an opportunity to work as a Czech translator at Alpha CRC in Cambridge, where I spent great six months. Then I decided to go freelance to make sure that the outcomes of my work depend solely on me. Now I enjoy the flexibility of working for various clients, travelling and learning new languages (currently Korean). I have been focusing on IT and technology, which have become my great hobbies, and also on literature and humanities. If you’d like to work with me, I’ll be thrilled to meet you! You can read more about me on LinkedIn, Facebook or my blog. Since January 2017, I have been working as an English-Czech external translator, proofreader and editor for Amazon. I have participated in the localization of the English website into Czech (Amazon.cz) which involved translation, proofreading and editing various web sections, help, customer emails and other texts. I have also created Czech glossaries and styleguides. Next, I have focused on preparing and correcting language tests which were used in hiring new Amazon employees. I participated in a large in-house project in the USA for one of the leading IT companies. My role was to work closely with the Czech team to edit and proofread various content in Czech. Our tasks were not only to ensure zero grammatical errors, but also to improve the flow, clarity and overall quality of the company's texts. I worked as a full-time in-house technical translator and proofreader from English to Czech specializing in software localization (user interface and help), translation of documentation, marketing texts and web content for leading antivirus and software companies. I completed a two-month traineeship within the EA Campus team focused on game localization and testing. I taught English to Czech corporate employees using the Coach&Practise© method. We found cheaper translators. Why should we contact you? It is correct that there are many translators who will translate your text for a lower price. So why am I more expensive? Quality translation is not only about flawless language transfer, but it also has to focus on its readers, feel naturally in the target culture and be consistent in style and terminology. Capable translator has to carefully consider all these aspects. If you want to succeed on the Czech market, it is vital to make a great first impression. Your website translated into Czech is usually the first thing your clients see. You also might need your software to be localized into perfect Czech, have readable and precise Czech manual or you may need to contact somebody by e-mail in Czech. If you want to build trust of your customers or Czech partners, it would be unwise to try saving money on translation. I have been translating for five years now and I also worked as a full-time Czech technical translator in Cambridge, UK. My translations into Czech will help you to effectively promote your company, products and ideas on the Czech market because I have been translating for leading IT and technology companies in the field. I work with the latest software and tools form translators (CAT) and therefore my translations have consistent style and terminology. Why is translation consistency important? If a translation is consistent, it means that all the terms and names are same across all your texts. Let’s imagine that you sell software and also provide user manuals to your clients. If the text in the software and the manual is translated by two different translators without a CAT tool or a glossary, it can happen that the item called Warning will suddenly become Alert in the manual. Customers who bought your software could be confused when they open the manual since it will describe something different than the software. If you want to have important terminology translated consistently, an experienced translator able to use good CAT tools can ensure consistency of the terminology as well as style. Why is translation from Czech to English more expensive than translation from English to Czech? Since I am a Czech native speaker, translating into English takes much more effort and time than translating into Czech. I have to look up various sources on the particular topic, find out which terms are used most often, assure that the text is easy to read for English speakers, etc. I simply have to check more carefully and make sure that I come up with an accurate translation. When translating into English, I prefer to arrange for a native proofreader to ensure 100% quality. The price generally depends on deadline, length of the source text and topic. Translation that has to be done within 2 weeks will be cheaper than translation that needs to be finished within 2 days. When I have enough time for translating, I like to proofread the translated text after several days. If I do not have enough time to check and proofread, I spend a lot of time on immediate proofreading so that I can be sure that my translation is accurate. The price also depends on the number of pages I have to translate. The same goes for the translation topic – if I am to translate a text about topic I am not familiar with, I need to spend a lot of time educating myself by reading various sources. But there are some fields (IT, technology, etc.) I am more comfortable with because I have been tranlating them for a long time. Therefore, these translations can be cheaper. It depends on the scope of text you want me to translate. I am usually able to translate 6 to 8 standard pages per day of an easier topic (IT, humanities), or 4 to 5 pages per day of more difficult texts (technology). I am also charging extra fees for translations in the evening, during the weekend or with a short deadline. I have a website (e-shop etc.) and I need it translated into Czech. What do I have to do and in what format should I send the texts? Contact me and send me the website URL. Also specify which sections you want translated and when you want the translation to be ready. I will look at the web, count the number of characters and send you price calculation. If you agree with the price, we will discuss how I should proceed with the translation. If you have any content management system, I can translate the texts there. If not, I can download the texts into a standard .doc or .txt document or translate them directly in HTML. I will be glad if you are able to provide me with a dictionary or a simple list of terms which you want translated in a certain way, reference materials, terminology used in your company or any materials translated before. All these texts will help me with creating glossary and translation memory. If you want me to translate other texts (such as manuals, documentation or letters), send them simply by e-mail or upload them to online storage. I can also work via VPN or download the files via FTP.